Don't Fail Your PMP® Exam! Are you afraid of failing your Project Management Professional (PMP)® Exam? Are you unsure if you are studying "the right things" for your PMP® Exam? Are you having difficulties with Risk, Quality or Earned Value and you feel that you "just don't get it?" If you answered "Yes" to any of these questions, then an experienced PMP Exam Coach is your answer! Our coaches have helped hundreds of PMP Exam students just like you to achieve their goal of passing the PMP Exam and they can help you, too. Why Get a Personal PMP® Exam Coach? Your coach works with you (either one-on-one or in a group) to assess your needs, determine where you lack knowledge and recommend a study plan for you. In this way you know exactly where you stand and what the best (and usually fastest) way is for you to study and pass the PMP exam. By attending the regular coaching sessions -- usually once every week -- you have the chance to review your progress and discuss issues with the coach. Also, our coaches are "tough" and point out any slack if you don't hold up your end of the bargain -- just like any good coach or tutor should! Dan Ryan has over 20 years experience in the IT Industry. Dan has taught on the Graduate level at Dowling College in New York where he taught Project Management and Risk Management courses. Dan has delivered in person and virtual PMP Exam prep classes since 2011 and has developed a global reputation as a leader in one-to-one and one-to-few PMP Exam Prep coaching and tutoring. Dan has pioneered a unique, blended learning solution which although very structured can be easily configured to the needs of any PMP aspirant, regardless of what point they are in on their journey to PMP exam success. Dan works directly with you to determine your needs and offers his insights and expertise. Jim Coughenour is a professional training and project management consultant based out of Pittsburgh. James has been providing live classroom training, live virtual training, for several well-known training organizations and continues to work in the field by providing project management consulting to a number of large organizations. He is widely recognized as a capable and effective consultant, coach and mentor. James has been teaching PMP exam prep boot-camps, project management, business analysis, software testing, Microsoft Project, Agile / Scrum, leadership, and other management topics. James has worked with more than 1000 students and consistently receives positive feedback and success stories of his students passing the PMP exam. In addition to his work as a trainer and consultant, James has over twenty years’ experience working in the healthcare, IT, and financial sectors. 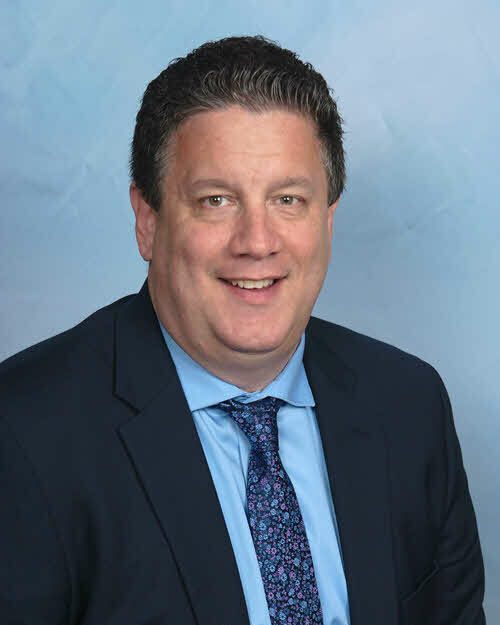 He has successfully led several multiple multi-million-dollar projects, some with more than 200 team members, and has led a training initiative to train more than 36,000 students. 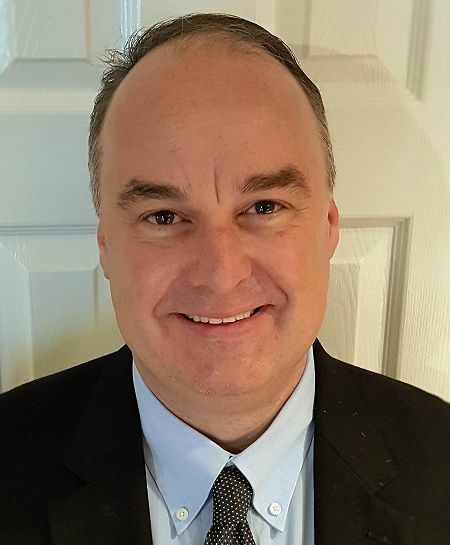 Besides his MBA, which he earned at California University of Pennsylvania, and his PMP and CISSP certifications, James has completed training in Six Sigma, CMMI, Scrum, and ITIL. James also graduated from the University of Pittsburgh with a Bachelor of Science in Business Administration. What does my PMP® Exam Coach do for me? Your coach determines your readiness for the PMP exam, assesses your strengths and weaknesses, teaches you the core concepts of A Guide to the Project Management Body of Knowledge (PMBOK® Guide), tells you what you need to memorize and actually demonstrates HOW you should answer those long winded tricky scenario based PMP Exam questions that drive you nuts! Your PMP Exam Coach acts as your PMP exam tutor, your personal PMBOK® Guide professor, your own motivator and your standardized test taking therapist. He keeps you calm, cool and on track through what many describe as a "nerve wracking test prep process". Your coach answers your questions and keeping you motivated on the road to your PMP exam. Depending on your available budget you meet with your coach either one-on-one or in a group setting. Obviously, personal coaching sessions are much more effective and targeted to your needs, but group tutoring opens up the dynamics of group learning and may make you feel less detached. The personal PMP Exam Coach works with you alone. The coach begins by reviewing your individual strengths and weaknesses, after which a personalized study plan is developed. You and the coach schedule regular, one-hour long calls during which progress is reviewed, specific topics (i.e. risk, quality, procurement, earned value, etc.) are reviewed and your questions are answered. You receive personalize PMP exam coaching and guidance from your tutor. Everything is focused on you and your personal study needs. You also receive your own customized PMP Exam Coaching checklist that you can follow step by step throughout your coaching program. Your custom checklist includes everything you will need and takes all the guess work out of your studying content and timeframe. Max recommended duration is 3-6 weeks with one personal call per week. 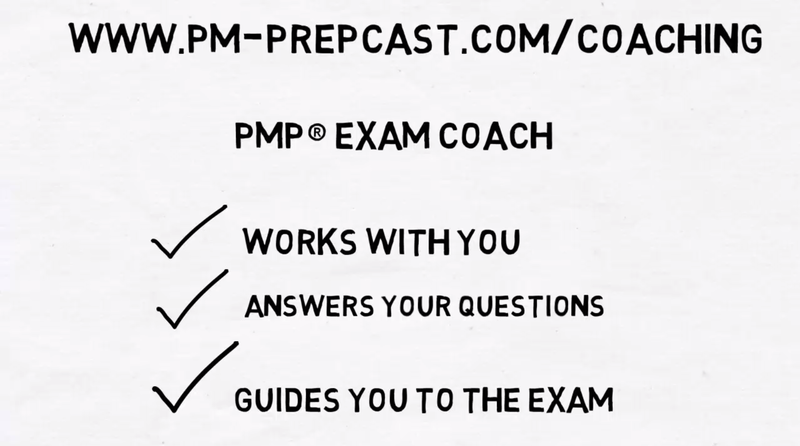 The PMP Exam Coach holds weekly group coaching calls. Here, the PMP Exam coach works with a group of students that may be at a different stage within their exam studies. The group meets on the same day/time every week. New students join regularly, and those who have passed their exam leave. Each week the coach schedules one or two topics for review to strengthen areas of weakness. Group Study topics may be published in advance so that students can register for the content they wish to get help with. Group topics will include content from the PM Framework, Earned Value and PMP test questions. Sample questions are reviewed in the group and leveraged to encourage peer discussions. Between coaching sessions questions will generally be answered in online forums. Max recommended duration is 5-8 weeks with one group call per week. I heard an interview on the PM Podcast, with Dan Ryan and I signed up right away. For me the most difficult part was just understanding the Project Management Institute (PMI)®’s framework. How does all this tie together? My exam coach assisted me greatly in understanding this. Helping me know what I needed to know for the exam verses reading PMBOK v5 was also a huge win for me. My coach Dan, was exceptional. He pushed me to move fast. He showed me how to learn and understand the concepts rather than memorizing all the many moving parts. He also explained why this was important as well. I feel that for me the coaching was just that, coaching. This kept me on the right path to PMP success! To those studying for the PMP exam I would recommend two things: 1. Have a coach to objectively evaluate your readiness to take the exam. 2. Take practice exams and then more practice exams followed by even more. Will I receive a Certificate for 35 Contact Hours? PMP Exam coaching usually encompasses anywhere from 5-15 hours of online meetings with your coach. It never goes up to 35 hours. Therefore, coaching will not give you the 35 contact hours you need. If you need a training course that provides 35 contact hours, then we recommend The PM PrepCast in addition to your coaching needs. Note: The PM PrepCast is included in the "Executive Coaching Package". My coach was tough but I honestly don’t think I would have passed without him! He quickly developed a study/testing plan that got me motivated to learn all the material (which I would have probably procrastinated on my own), urged me to sign up for the actual exam when I was ready and provided me with tons of good tips and tricks that helped me along the way. It was really helpful for me to have a plan and have someone to report scores to and talk through areas I was struggling with. He was super responsive and I felt like I really had a partner in the whole process. It was great! My coach understood my needs. We were able to modify my PMP prep based on my current work schedule and he helped me work through some of the areas I kept getting stuck on. For example, I kept struggling with the difference between some of the inputs and he spent time explaining it and sending me supporting material to read about it which was a big help. I would recommend coaching to others. Coaching worked really well for me and I would recommend it for anyone who is unsure about how to cross the finish line. There is a lot of material to get through so having expert guidance is invaluable (kindof like using Expert Judgement in the processes!!). It's a great way to get a tailored program that works for your schedule and learning methods so that you can succeed. Please click here to contact your coach and request a 15 minute free coaching demo and assessment... Your coach will work with you to schedule the call on a day/time that is convenient for both of you. Your coach will work directly with you to determine the best day/time of the week for your personal coaching calls. Your coaches live in the USA, so they are currently covering primarily the four US time zones of EST, CST, MST and PST. Do you live outside of mainland USA? Please contact your coach first to ensure that your timezone is covered! This is a regular class that is taking place every Wednesday at 8pm EST. You can start this class at any time for five weeks. The coach is Dan Ryan. Our Sunday night class has a specifc start-date and end-date. All students start the class on the same day for five weeks. This means you can only join this class when they are officially announced via our newsletter. Your coach will give you access to our scheduling tool within 1 business day after you purchase a group coaching package. He will work with you to schedule your attendance and send invitations. Please contact us if the above days/times do not work for you. Your desired day/time can be added if enough students ask for it! If you are unable to attend a scheduled coaching call (both personal or group) then you must inform your coach 48 hours in advance. There is no credit for a missed call that wasn't properly cancelled! Your coach is very strict about this cancellation rule, because it forces you to keep your eye on the ball and also not delay your studies or impact the study of other group participants. Many PMP candidates think they need to have in person coaching and work with a coach who lives near them and meets with them at the local coffee shop. That is not true, because time and time again our coaches have demonstrated to our students that virtual coaching is far more effective than in person coaching for a number of reasons. Let’s list some of the Pros and Cons. Availability Easier to find because of location independence. Hard to find if you don't live near the coach. Scheduling Easier because you can meet from anywhere as long as you are internet connected. Harder because you must physically meet. Effectiveness Effective because online meeting tools enable each participant to follow along on their own PC with shared screens and mouse controls. Very effective because you are in the same room but you must huddle around your coaches PC. Recording Possible to record and refer to later. Difficult to record. So don't feel that coaching only works when you physically meet the coach. Virtual coaching works and you are going to love it. What is the difference between PMP® Exam Coaching and a Class/Bootcamp? Coaching is training or development in which a person called a "coach" supports a learner in achieving a specific personal or professional goal. A PMP Exam Coach (often also called a PMP Exam Tutor) focuses on the needs of the individual student. One-on-one coaching sessions are personalized and group coaching sessions focus on areas where most students usually struggle. Coach and student regularly meet to discuss progress and issues. Each student is expected to study and complete "homework" assignments in between coaching sessions. The coach acts as a guide and offers insights. The PMP Tutor and the student(s) work together as a team over the course of several weeks in order to achieve exam success. PMP bootcamps are usually fast-paced, intensive, 3-5 day long workshops during which the PMP exam material is "crammed". The class is led by an instructor. Students attend with the goal to earn their 35 contact hours and take in the knowledge. Questions are answered during the class. Some bootcamps offer limited access to the instructor once the class ends, but most do not. Whether you want to attend a PMP bootcamp or use a PMP Exam Coach is a very personal choice. Often it is also a question of the available budget because bootcamps usually come at a steep price while coaching can be purchased by the hour. We feel that coaching is more effective and so we do not offer bootcamps. Have you Failed Your PMP® Exam? Get 20 Minutes of Free Coaching! Are you frustrated because you didn't pass your PMP exam on your first or even your second attempt? Would you like to speak to one of our coaches so they can help you and get you back on the path to PMP exam success? If your answer is yes, then please write to PMP Exam Coach Dan Ryan and ask for your free, 20-minute consultation. Please include your exam score report (take a picture with your phone) that shows your exam results. In this 20 minute discussion, Dan will review your past learning approach, discuss your study materials, identify areas of weakness and recommend a new and improved study approach. All to help geting you back on your feet. All for free. So contact him right away. He will get you back on track! Don’t wait. Sign up for your personal coaching sessions now. Take advantage of how we have revolutioned the way you can study for and pass the PMP Exam: Watch The PM PrepCast, practice with The PM Exam Simulator and work directly with your personal, world class PMP Exam Coach. You have a winning formula that takes you to exam success!